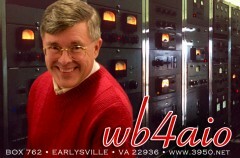 I FIRST became interested in radio at the age of 12 while I was living in Alexandria, Virginia. The year was 1968. 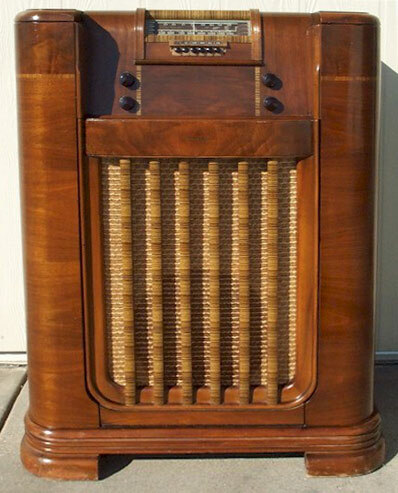 In lieu of throwing it away when they bought a late-model Magnavox, my parents gave me a 1941 Philco console radio (complete with “All-Wave Super Aerial” loop antenna, loktal tubes, 78 rpm phonograph, and electrodynamic speaker) that included both mediumwave and shortwave reception. A few months before I had built a crystal set that picked up nearby WFAX, Falls Church (and a few other stations mixed with audio from WFAX) and my parents, seeing the bakelite and steel headset on my head — and my wire trailing out the window to the metal patio roof — could see that radio interested me. When I started to explore the shortwave frequencies on this behemoth, I was amazed to hear faraway voices from Johannesburg, Moscow, London, Havana, Madrid, Sydney, and even Tashkent coming in almost as clearly as locals WRC or WEAM. Hearing what Havana and Madrid and Johannesburg had to say about their own countries — and how different that was from what the New York networks were saying — gave me new insights into the realities of politics and media manipulation. 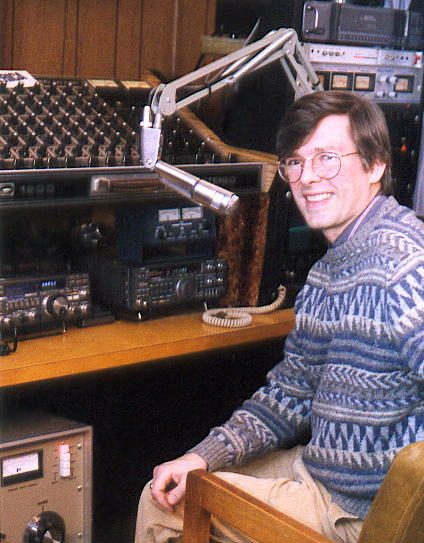 Within four years I became a licensed amateur radio operator, WN4AIO, later WB4AIO. Ten years from the day I first turned on the old Philco, I became Chief Engineer at WEAM in Arlington. By 1970, I was ready for a receiver that covered a wider frequency range than the Philco’s 550 to 1700 kHz and 9 to 12 MHz. 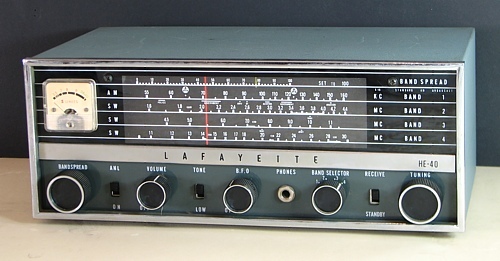 I graduated to a used Lafayette HE-40, then a Realistic DX-150A supplemented by a Heath Mohawk. It was a fateful day that I first stumbled upon 75 meter AM. I had always been interested in getting the best audio out of my AM and shortwave broadcast listening, and I had learned that adding an extra-wide IF bandwidth and feeding the low-level audio into high-quality stereo headphones or an external high fidelity amplifier/speaker setup gave excellent results, comparable to FM broadcast under good conditions. But I had always assumed that ham radio was strictly “communications quality” — restricted and distorted-sounding like a CB or two-way radio. The ARRL Handbook even advocated that kind of audio, whether for AM or SSB. “Narrow the bandwidth and clip like Hell” was their mantra then. I can’t remember the exact day, but it must have been in ’70 or ’71 that I first heard the high-fidelity AMers on 75 meters. T-368 transmitter: Mine was built by Barker and Williamson in 1954 and the paint was still shiny and the copper-plated chassis still brilliant when I let it go in the 1990s. I modified mine to have class AB1 4-400s modulating the single 4-400 and built a capacitor-coupled dual 6SJ7 driver loosely based on an RCA broadcast design, adding global negative feedback and an RCA broadcast modulation transformer. 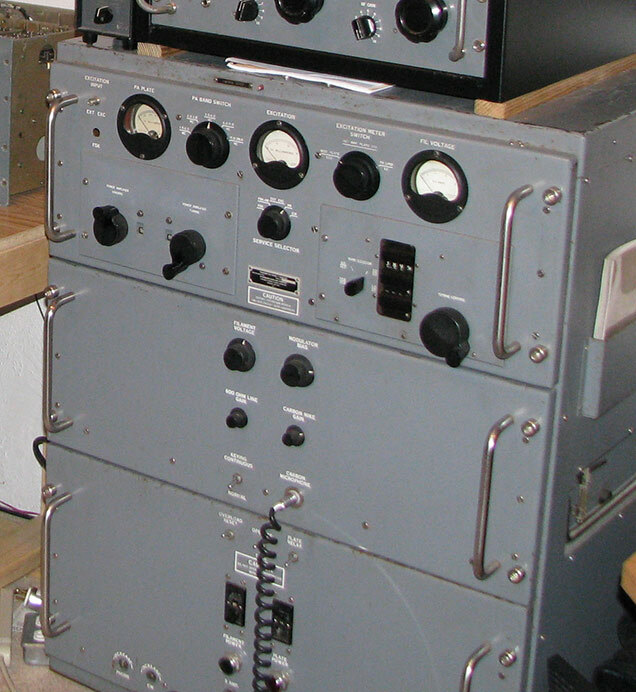 For 1954, the transmitter was quite advanced, even using mechanical digital readout, similar to that of the R-390, which can be seen at the upper right if you click to see the full-size image. By pursuing high-quality AM at a time when clipped, narrow SSB was de rigeur and clipped, narrow AM was dying, they had created a new paradigm for themselves and many were achieving true excellence within it. And it wasn’t all technical: The better quality transmission and reception allowed more of the personality and nuances of speech to come through, encouraging conversations at a higher level than usual. The hi-fi AMer’s wide-ranging discussions on topics technical, cultural, political, and spiritual were liberating and fascinating. I vowed to join them. I especially remember listening to 3885, 3870, and 3825 kHz. 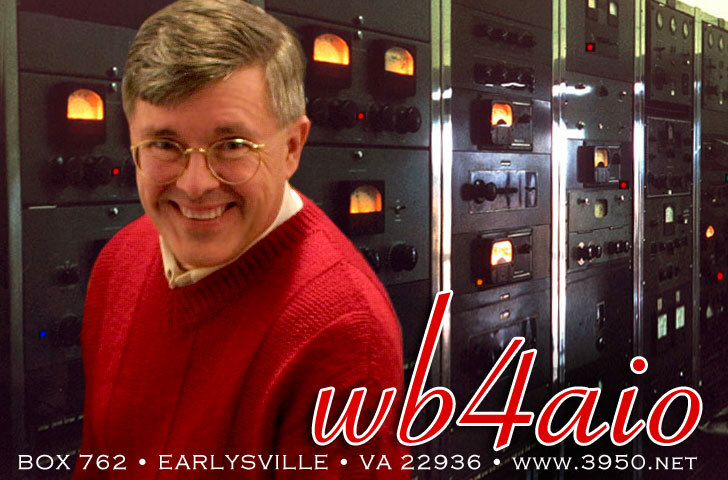 I heard hundreds of stations, but in my early SWL years I particularly remember WA1EKV, WA1HLR, W1AR, W2DSN, W2QYG, W3DUQ, K3VVG, and K3ZRF. As we enter the teens of the next century, quite a few of these guys are still on the air! 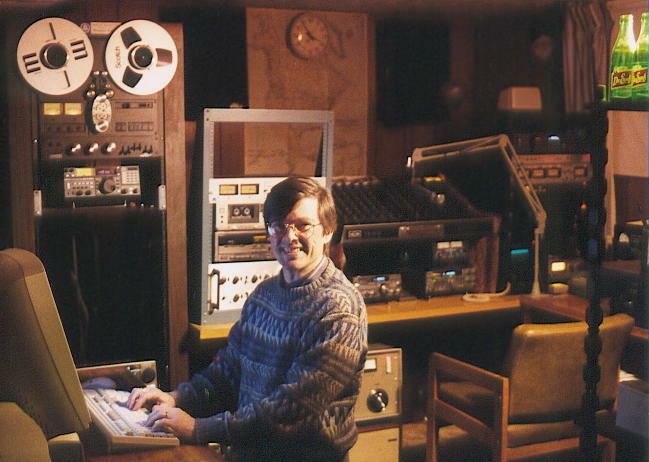 Once I became an amateur operator in ’72, I used a Collins TCS (Navy surplus) transmitter, followed by a Viking Valiant and Hallicrafters BC-610E (both modified for high-fidelity audio, as have been almost all of my subsequent receivers and transmitters). By the 1980s, I was using a surplus Barker and Williamson T-368 transmitter along with a Racal RA-6217 receiver and Kenwood TS-440S transceiver. 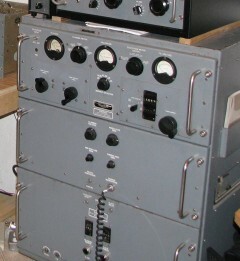 On the transmit side, all of these setups were fed by an audio chain consisting of mixing, equalization, multiband compression, and peak limiting done broadcast style. In the 1990s, I gave away the modified T-368 and started using the 440 into an Alpha 77 linear amplifier. WB4AIO, 1998, Rochester, Minnesota. I was very active on 3950 SSB and 3885/3870/7295 AM at that time. In 1977 — and several times thereafter — I’ve fought for the right of AM and other experimenter’s modes to exist on the amateur bands. FCC Docket 20777 would have effectively eliminated AM, DSB, NFM (and other possible experimental-mode) operation on the HF amateur bands by attaching specific bandwidth limits and mode definitions to each band segment — as if amateurs were just “communicators” who have a hobby and “talk into radios” instead of creative people always refining and modifying and experimenting with their equipment and their ideas — as if the then-reigning “make it as narrow as you can” philosophy was some kind of eternal truth to which all must submit. I made bulletin broadcasts using my Ampex reel-to-reel tape machine, Universal Audio AM-864U peak limiter, EL-34 audio driver, and BC-610 on 75 and 40 meters. I handed out info packets and petitions at hamfests. I did direct mail. And, in the end, reason prevailed. The docket was defeated. I successfully fought against another attempt by the FCC to sneak in specific bandwidth and mode specifications (the whole concept is obscenely anti-experimentation), but fought and failed when I opposed the so-called “simplified” rules which implemented the complex and unreasonable “PEP” power definitions and limitations we now suffer under. I also helped in the successful battle to defeat a proposal by Robert Stankus that would have banned amateur DSB and AM outright. In the course of these battles, I think I gave some beneficial publicity to 1) the concept that high-quality wider-bandwidth transmissions are a viable and justified choice for amateurs who wish to pursue them, whether on FM, AM, DSB, SSB, spread spectrum, or modes yet unknown; and 2) the idea that AM and DSB are legitimate modes deserving of full acceptance and with technical advantages and advances (PDM and synchronous detection are two) of their own. So many amateur contacts are empty and meaningless, an exchange of signal reports or technical descriptions of the most rudimentary sort. Such is seldom the case for the discussions that take place on 3950. Every Saturday night at 9:00 PM Central Time, the Liberty Net begins and usually runs until the wee hours of the morning. W1WCR, Victor Misek, is the net control operator, and his commanding signal spans the continent and beyond with perfect intelligibility. In addition, Vic’s array of Beverage antennas (he is the author of the Beverage Antenna Handbook) allows him to receive signals through noise and interference that would stymie most operators, and relay important information to the rest of the net participants. WB4AIO main operating position, during the time when I was most active on the Liberty Net. The Liberty Net operates formally only on Saturday evenings, but almost every evening you will hear some of the Net participants engaging in informal, free-spirited, and free-thinking discussions of important issues on the frequency. When intentional interference is present, sometimes the participants shift to 3953, 3947, 3947.5, 3960, or other nearby frequencies. I have come to the conclusion that for many (though not all) of the jammers, their objection to the regular 3950 participants is not mainly political or philosophical, but merely that the conversation is so far above their heads that they feel inferior — and they have a yen to destroy whatever is superior to themselves, if they think they can get away with it. Sadly, all of my radio gear, including priceless recordings of friends now departed and rare and exotic stations, and unique hand-built and modified equipment, was stolen from me. As a result of that theft and betrayal, and persecution at the hands of the federal government, I’m off the air at present. But I am rebuilding my life, and one of my goals is to return to the air sometime soon. The restoration of 3950.net is one step in that direction. The Liberty Net is a formal current events discussion net, taking on political and social issues usually distorted or covered up by the controlled mass media, and has been in operation for three decades. Any amateur willing to follow net protocol is welcome to join. You need not agree with other participants. 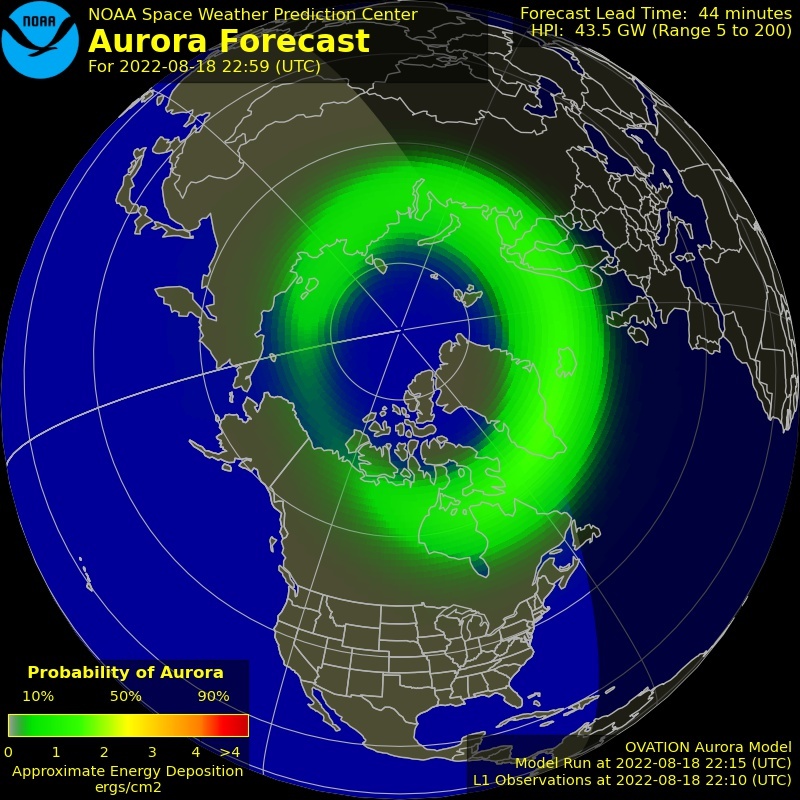 The only stations not welcome on the net are a few inveterate jammers who have made themselves obnoxious by purposely interfering with the frequency on numerous occasions. The Liberty Net operates formally only on Saturday evenings, but almost every evening you will hear some of the Net participants engaging in informal, free-spirited, and free-thinking discussions of important issues on the frequency. When intentional interference is present, sometimes the participants shift to 3953, 3947, 3947.5, 3950 USB, or other nearby frequencies. Sadly, there are some sick individuals who spend a great deal of their time trying to prevent the legitimate operators from having these conversations. In some cases, they claim to be “outraged” by the legitimate participants’ non-PC opinions. But regardless of their justifications, there is no legal sanction for the intentional interference created by these radio outlaws. This they have engaged in by transmitting music, noise tapes, tape loops or recordings of previous conversations or comments, monologues, obscenities, and other illegal interference. While there are a few unidentified jammers, the major sources of illegal interference are well known: WA9KJI, K5BLB, W9ART, K5ZU (now dead), K5MVK and KK7HO have engaged in malicious interference which is documented in a series of .wav file sound recordings linked here. There are many more recordings than the ones I have digitized and made available here. Some of these are archived at the FRG9600 web site. Until 1992, when WA9KJI began jamming in earnest, 3950 was a relatively peaceful 75-meter frequency where iconoclasts and traditionalists of many non-establishment worldviews could have intellectual, religious, political and philosophical discussions. It was unique. It was the highest-IQ frequency on amateur radio. It still is, when the moronic jammers with their filthy language and noise-maker tapes are absent.